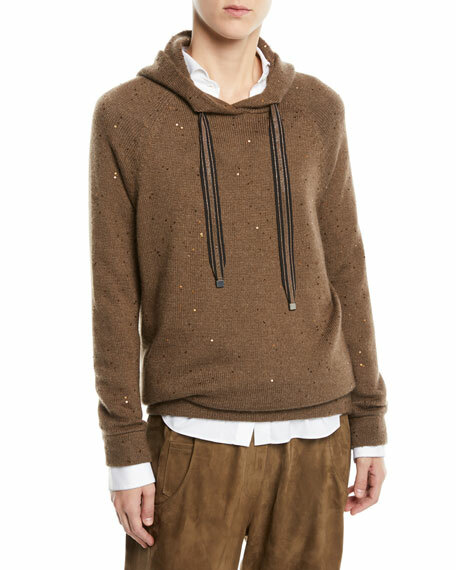 Brunello Cucinelli sweatshirt-style sweater in sequin chain knit. Hooded neckline with monili ties. 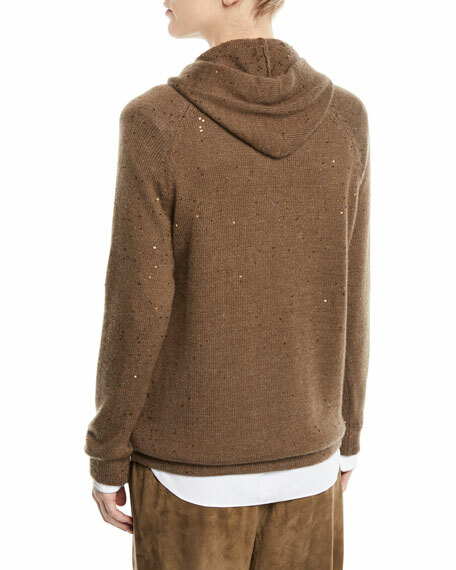 For in-store inquiries, use sku #2640111.